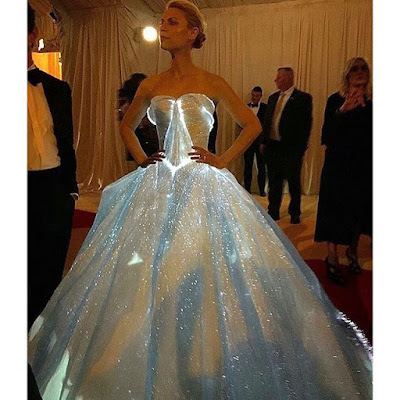 It's the first Monday in May, and celebs plus couture can only equal one thing: the annual Gala for the Metropolitan Museum of Art's Costume Institute. This year, the celebrated exhibit is Manus x Machina: Fashion in the Age of Technology. As always, my best dressed stars embraced the theme, allowing us a glimpse into their designer's take on this topic. It was fun to see the creative variations in design, though metallics were definitely a common thread. Zendaya wore a gold one-shoulder Michael Kors gown. Paired with her sleek bowl cut, she channeled a chic 21st-century fashion robot. Model Jourdan Dunn was part of last night's "Balmain Army", and in her silver-paneled dress and silver-sprayed locks, she looked ready to go to fashion war. Gigi Hadid looked like the goddess of the androids in her custom Tommy Hilfiger dress which featured soft draping paired with tough details in a cool gunmetal color. Her boyfriend, Zayn, pulled off one of the most successful male Met Gala-themed looks with the addition of cyborg arms to the sleeves of his tux. Poppy Delevigne stunned on the red carpet in a flawless Marchesa frock. At the same time edgy and elegant, her styling was perfect from her sleek platinum locks to her layered necklaces. In a red carpet moment that is not going to be forgotten anytime soon, Zac Posen dressed Claire Danes in a fiberoptic-laced gown that lit up to a beautiful effect. The immaculate structured design that he is known for could be seen in the fold-over corseted bodice and full ballgown skirt that was gorgeous even without the light show. But when the marriage of technology and fashion was on display, the real magic happened. 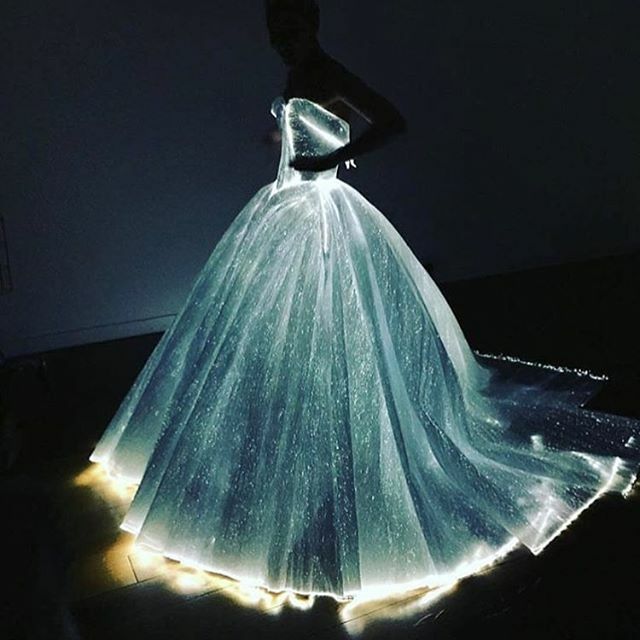 In a time when fashion has become so reliant on technology, from mass production to marketing, it's interesting to see how couture can also be transformed by the very computers that inspired these red carpet looks.